According to Business Insider, the other shoe has finally dropped. Volkswagen CEO Michael Winterkorn has stepped down amid the emissions-cheating scandal that's consumed the auto company. 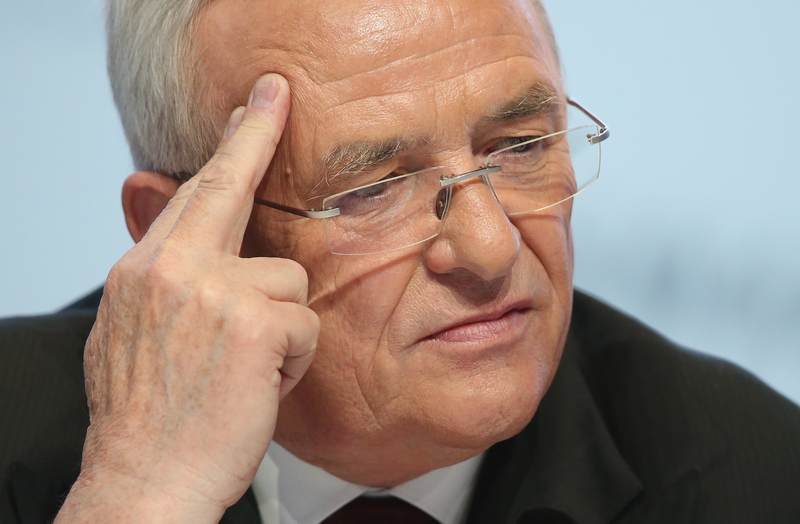 Winterkorn, 68, ascended to the top of the German automaker in 2007, and now his tenure has been ended. Volkswagen has been accused of some very illegal behavior — namely, deliberately misrepresenting their emissions standards in millions of vehicles around the world. I am shocked by the events of the past few days, Above all, I am stunned that misconduct on such a scale was possible in the Volkswagen Group. As CEO I accept responsibility for the irregularities that have been found in diesel engines and have therefore requested the Supervisory Board to agree on terminating my function as CEO of the Volkswagen Group. I am doing this in the interests of the company, even though I am not aware of any wrong doing on my part. Volkswagen needs a fresh start — also in terms of personnel. I am clearing the way for this fresh start with my resignation. Winterkorn also said that "Volkswagen has been, is and will always be my life." It'll be interesting to see who Volkswagen goes with to try to overcome this seismic scandal. They're reportedly already prepping for some absolutely staggering financial penalties over this, totaling more than $7 billion. According to USA Today, Volkswagen's board is expected to convene and choose a successor to Winterkorn Friday. Whomever the board ends up choosing to replace Winterkorn will have a downright intimidating job ahead of them, that's for sure. Beyond the more than $7 billion Volkswagen is prepared to shell out, this episode has left their reputation tattered and their stock value plunging — as detailed by CNBC, the company lost almost a quarter of its total market value on Monday, a whopping $17 billion.